Welcome to the 2017 Holiday Gift Guide for little kids (ages 3+). 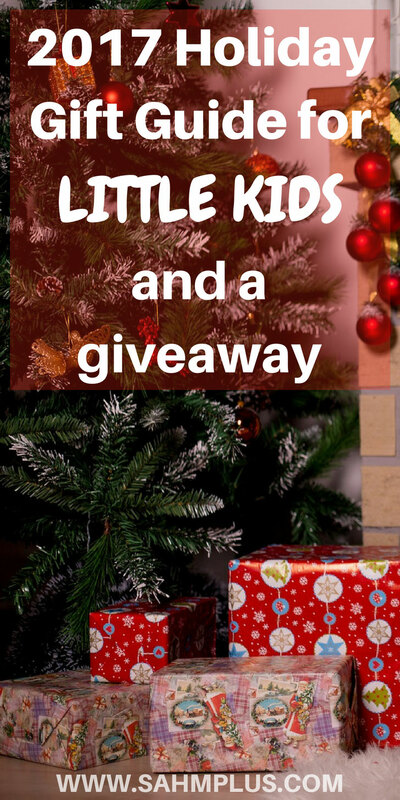 I’ve rounded up some great gift ideas for kids plus a nice giveaway to help your budget! What’s on your child’s wishlist? Once kids realize they can start requesting gifts, creating wishlists becomes harder to handle. Am I right? At 6, my daughter has begun getting questions from people asking what she wants. What we all realize is that asking a small child what they want usually leads them to name off the first thing they see on TV. And then, you end up with junk they never play with. Well … much like every other gift-giving event. 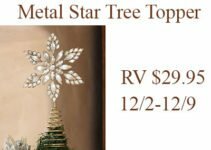 In the 2017 Holiday Gift Guide for Little Kids, my aim is to introduce you to Christmas Gift Ideas you may not otherwise have known about. Perhaps your child will take interest in perusing the list with you, or you may find something you just know they’ll love. I know I’ve come across a few things this year that will be big hits with the family! Don’t forget! 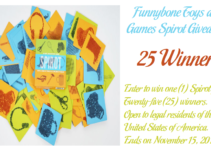 Scroll all the way to the bottom of the post to enter the giveaway from some fabulous prizes to help you start (or finish) your Christmas gifting needs. Disclaimer: SAHM, plus… was provided some of the items listed in exchange for inclusion in the gift guide. Additionally, they may also be participating in the little kid gift guide giveaway as denoted by an asterisk (*). All opinions expressed here are my own. 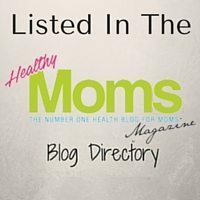 Affiliate links are included throughout this post. Purchases after clicking on these links earn me a small commission, cost you nothing more out of pocket, and help SAHM, plus… maintain this free-to-you website. 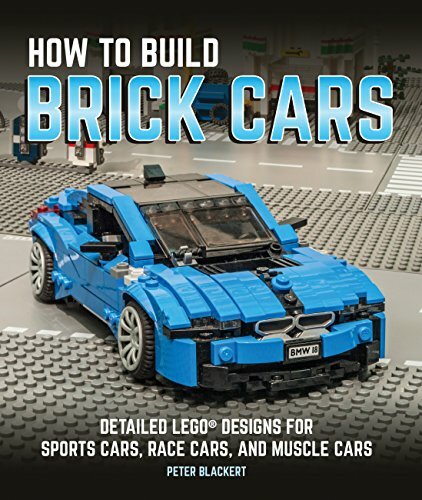 We received How to Build Brick Cars and Beasts from Bricks. 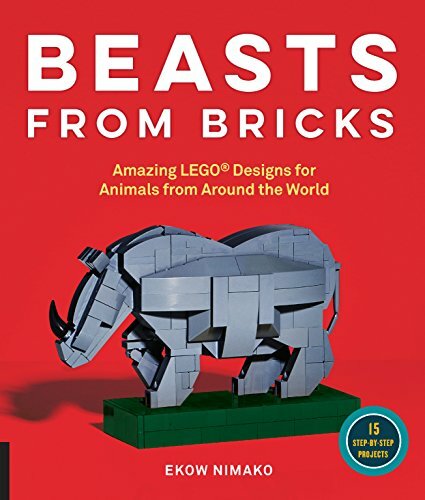 As a car-loving family and with kids who love animals, these are amazing books for Lego-loving kids! The books are set up similarly to the instructions you receive with your Lego kits these days. Though they don’t seem nearly as refined, they still help your little (or slightly over-grown) builders create more with their expanding Lego sets. Don’t already have a large collection of Legos? Check out this large box of classic Legos with 790 pieces! This year, we’re doing the 4 gift challenge (Something I want, something I need, something to wear, something to read). Of course, we probably won’t stick to ONE item in each category, but it will be limited to things that can fit into a single box/bag for each category. I won’t go into details here. Since I place tons of importance on reading, I will definitely be shoving a bunch of books in a box. 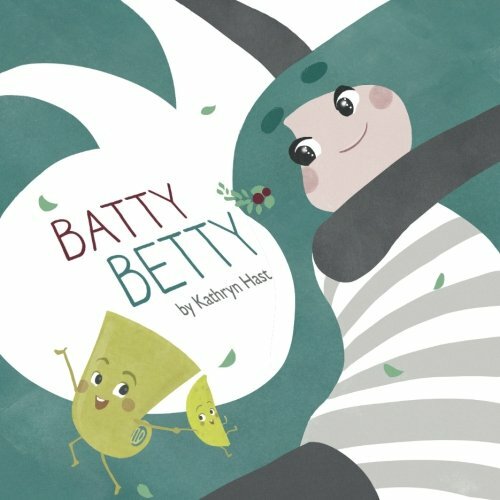 Batty Betty is a great addition to your child’s library, teaching your children to march to the beat of their own drums in spite of what others think of them. One of the worst things that happen to kids is when they put aside their passions for fear of rejection from others. Not only do I appreciate a book that can teach my child what I wholeheartedly believe, I reinforce it by following my own out-of-the-ordinary passions as a mom in Autocross. In many ways, we’re only truly happy when we are who we’re supposed to be. Arts and crafts for the girls! Instead of simply giving girls new hair accessories, why not give them crafts to make their own? This kit comes with everything a fashionista needs to make 10 custom headbands. I have to say, I nearly died laughing when I read the box, too. In the list of included supplies, it says “2 sheets glue dots (not pictured because they look like boogers).” Seriously, I’d buy more from this company simply based on that truly honest and hilarious statement right there! I’m a big fan of games, though usually educational is more my style. However, kids sometimes just need to have fun just to have fun. I can’t think of a better way than to gift them the game Not Parent Approved. This card game was inspired by Cards Against Humanity but appropriately suited for kids. And by appropriately, I don’t necessarily mean it’s appropriate, but that’s the fun of this game! 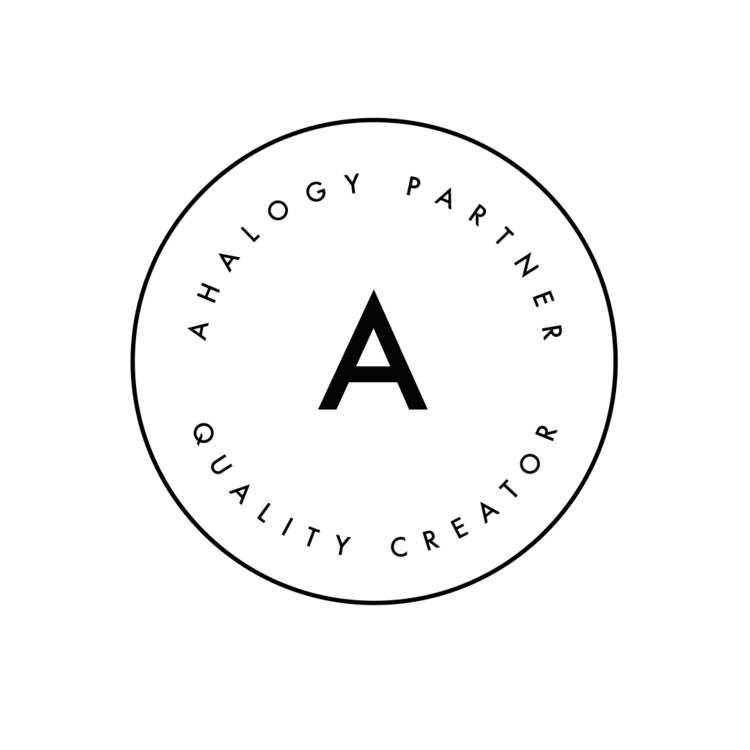 Instead of focusing on educational themes and being geared toward younger players, this is a game meant to encourage family togetherness, fun, and laughter. And what better way to start a family game night than to host a burp off to determine the answer boss? That’s right, this is in the game rules! You guessed it … if I liked the booger line in the headband supply list, I obviously loved the burp off! My daughter was given a Kiwi Crate subscription for Christmas last year, geared for ages 5-8. She really enjoyed keeping active and building things with her own hands, then playing with her creations. As a parent, I loved how the booklets described the projects in the beginning and showed me how much time and mess each would create. It gave me the ability to choose appropriate projects based on the time or energy I had available to supervise (or help). KiwiCo has the Doodle Crate and Tinker Crate subscriptions available for ages 9-16+. And, for your littlest learners, they’ve got the Koala Crate for ages 3-4 and recently added the Cricket Crate for ages 0-36 months. Rocket is an amazing book about a rocket traveling through space. 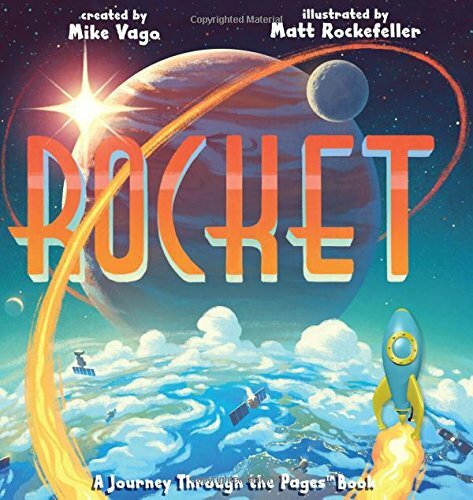 Geared to ages 4-8, your young reader can learn about space during this interactive reading session as a 3D plastic rocket journeys through the book with your child. The rocket never leaves the book, so it’s always ready to make your child’s space journey time and time again. This is a perfect way to get kids reading about science and space. And then, she received it for her birthday. This game seems strange but makes easy fun for the family game night. Geared for ages 4+ and even the toddler likes flushing the toilet. The first time I saw this product was in the Lego Store at Disney Springs and I was amazed! Have you ever been to the Lego Store? You can scan products at a screen that shows you the product built in virtual reality. The Lego Boost Creative Toolbox allows your child to make 5 models in one. After their build, they can use a free app to code their new creation to do things bringing it to life. I’m all about educational development in my littles. Both have kept me on my toes requiring me to keep them immersed in educational activities for their big brains. It’s easy for me to read books and print out worksheets and coloring pages to help them learn about a new subject. What’s not always so easy is working on the emotional intelligence. It’s not a message a coloring page can convey well enough and sometimes the kids are too young to just have a conversation about it. Q Wunder fills the gap in several ways. Q Wunder provides a physical game called Q’s Race to the Top which includes a book about Q and developing social skills. Additionally, EQtainment developed a wonderful app (available on Apple and Android) where children can learn to build social skills. Q is an adorable monkey. They describe him as intelligent, but not always able to interact with people appropriately. The app helps children discover emotions and build social skills. Honestly, as an awkward introvert, I feel like I have a lot to learn with Q. So, I’m really excited to share this app and game with my children. You can get the Q Wunder app for iPhone, iPad, and Google Play. Q Wunder has partnered with Chick-fil-A to include special Q Wunder prizes in each kids meal. When I was a kid, my grandfather supplied us with these mega-rolls of paper … I mean ginormous. I remember rolling out pieces as large as the space we had in the bedroom, sometimes the living room, and drawing roads and towns to drive our toy cars on. While that fabulous memory certainly needs to be relived with my own children, I don’t have access to free monster-rolls of paper like that anymore. And, I cringe at the thought of what those gigantic rolls would actually cost these days. But, I think I’m more impressed with the Hot Wheels Play Tape! The tape is much more colorful than those pencil drawn roads. But aside from that, it’s easy to tear (requiring no scissors) and sticks to just about any flat surface. Plus, if your little city planner needs to make any changes, the tape is easily re-positioned. Unlike those paper roads, you’re not as likely to have your roads destroyed when the racing gets out of hand, either. The Kwik Stix Thin Stix from The Pencil Grip, Inc was a love at first sight item for me! I’ve talked several times about how much my daughter has always loved painting. In her recent parent-teacher conference, art was names as one of her strong subjects. Totally makes sense, because she could paint for hours as a toddler. Gearing up for painting with little kids, however, gives me great anxiety. It’s a ton of work to set up and can be an extremely messy activity to clean up after. There’s going outside, setting up the easel, mixing paints, having clean brushes, and the worry of spillage and laundry to be done if things get out of hand. You guys … serious anxiety! Kwik Stix is a game changer here! 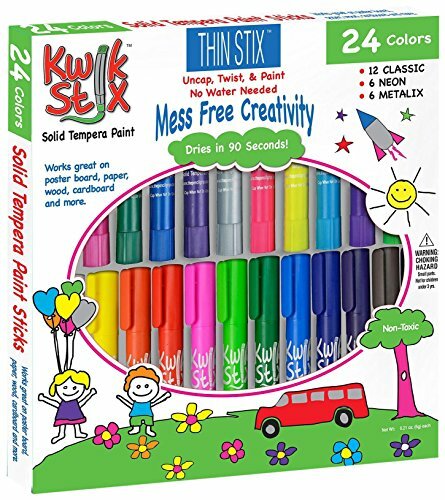 The Thin Stix are thinner versions of Kwik Stix, which are thin tempera paint pens. You simply uncap, twist and paint. The paint dries in about 90 seconds and I don’t have to worry about mixing paints or cleaning a bunch of supplies. Don’t let the time it takes to dry fool you … the art your child creates will still look like paint … not marker or pen. 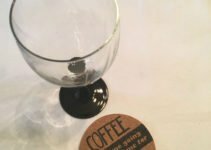 You can create fabulous pieces of art on different surfaces and without all the mess of paint… no water needed. Thin Stix are available for a limited time at BJ’s Wholesale for $19.99 (cheaper than Amazon)! You may know WowWee for the awesome robotic toys. But, they’re more than that and they want you to “unplug” and build your imagination! 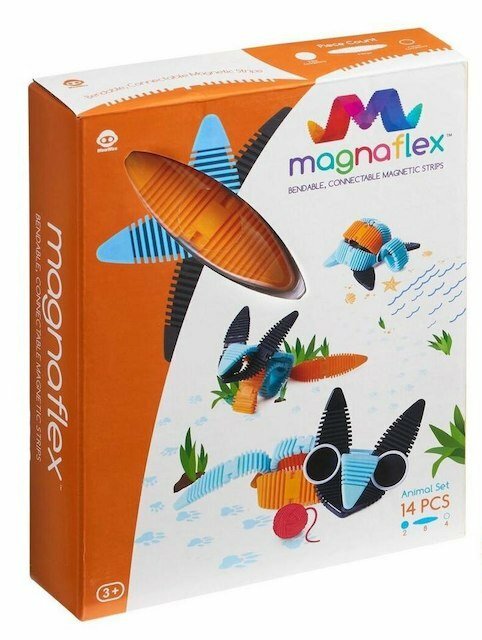 WowWee has Magnaflex, which are awesome magnetic strips that bend and connect for a wide variety of creativity! We received the WowWee Magnaflex animal set, containing 14 pieces to create a few animals, like a dog, owl, and more. You can build 3D objects or create 2D art on a magnetic wall or fridge, meaning your creative abilities are only limited by your imagination. 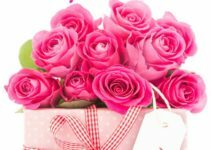 This year is really exciting as the author and owner of SAHM, plus … For the first time, I decided to work on a 2017 Holiday Gift Guide. What started as a gift guide for kids turned into two gift guides. That means two amazing giveaways for my readers. The little kid gift guide was the plan from the beginning, because I was having a hard time deciding what gifts a 6 year old needed. This guide has been fun to put together and I’m really pleased with the prizes. I’m sure you will be, too! This year, one winner will receive all of these amazing prizes! If you want to learn more about them, scroll back up and check them out. Great list! I am so excited for Christmas this year because the kids are old enough now to really be excited and involved in their decisions on what they want/need/wear/read. 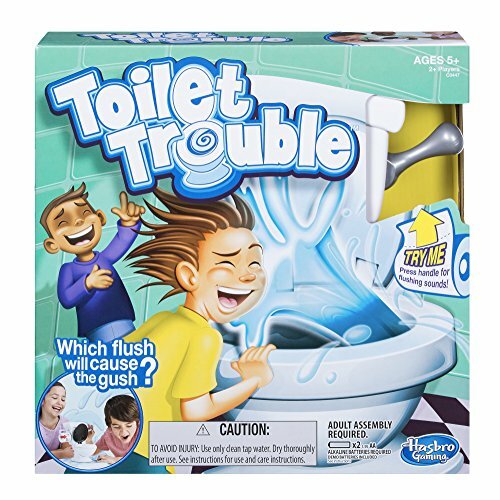 My daughter has been asking for that toilet trouble game as well and I could not see the appeal either, but it looks like a ton of fun for them. All 5 of our grandkids are into drawing, painting and creating master pieces from their imaginations. So, I would say my favorite item (that they can all share) would be the KWIK STIX THIN STIX. I’m most excited for the Brick Building Books. The Lego Boost is my favorite. I am really intrigued by several of them! The Lego Robot thing looks pretty cool! My kids are into lego again at the moment. I love that I haven’t heard of most of these gems. Great choices. We love Q the monkey over here and the magnet sets. Haven’t sold me on the toilet game though…I don’t know if I could get into playing that one. The paint pens have been on my list this year! Glad to hear a review. My boys say the Toilet Trouble game is their favorite. But of course it is! I think the Hot Wheels play tape is awesome! I love that idea. 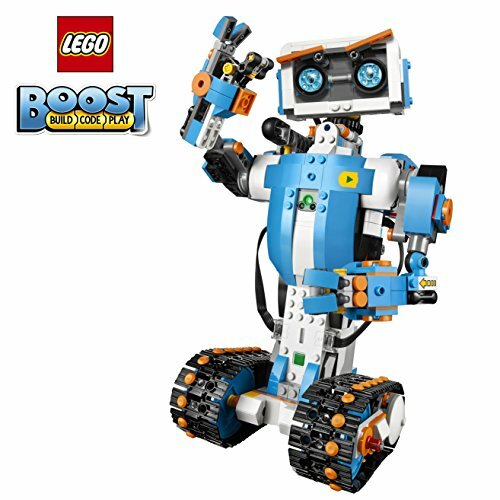 I think I like the Lego Boost Robot the best! I think the Magnaflex blocks look pretty cool! My 4 yr old would love so many of these! He loves building out of anything so those will be extra fun! I think my boys would really enjoy the WowWee Magnaflex Animal Set! I think my grand son would love the Leggo Boost Creative Toolbox. Hot wheels road tape! Super fun! I want to play the Not Parent Approved game, but think my granddaughter would prefer the Kiwi crate. 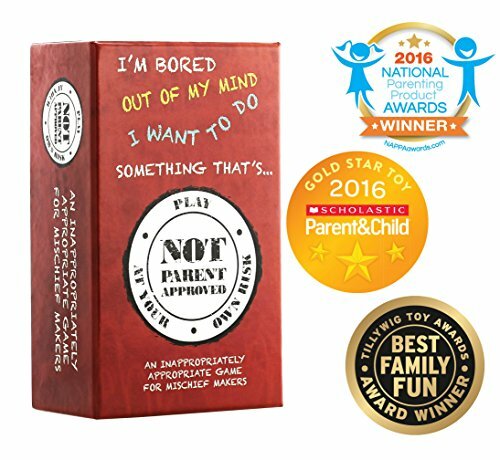 My favorite has to be the Not Parent Approved game – looks like a good addition to family game night and also one she can play with her friends. I like the Lego Boost and the Toilet Game. I enjoy having game night with my grandkids. My favorite item in this gift guide are the KWIK STIX THIN STIX. my favorite is the batty betty book! I like the headband kit. I like the Kwik Stix Thin Stix. I love the Lego Boost Creative Toybox. i would like to get the INROAD TOYS HOT WHEELS PLAY TAPE*. it looks like it would be perfect for our son. My favorite is WOWWEE MAGNAFLEX. DECORATE YOUR OWN HEADBAND is my favorite gift from the awesome list. My kids would like the Q Wunder Game. My favorite is the Lego Boost Creative Toolbox! I really like the WOWWEE MAGNAFLEX. Looks very interesting. The Kwik Stix Thin Stix from The Pencil Grip is my favorite item from the gift guide. I like the Lego Boost toolbox. The toys have definitely gotten better as I’ve gotten older. I like the WowWee Magnaflex*.